Sadly it looked like the final step of laundry processing had been skipped in the hotel's later days, probably due to a lack of staff. 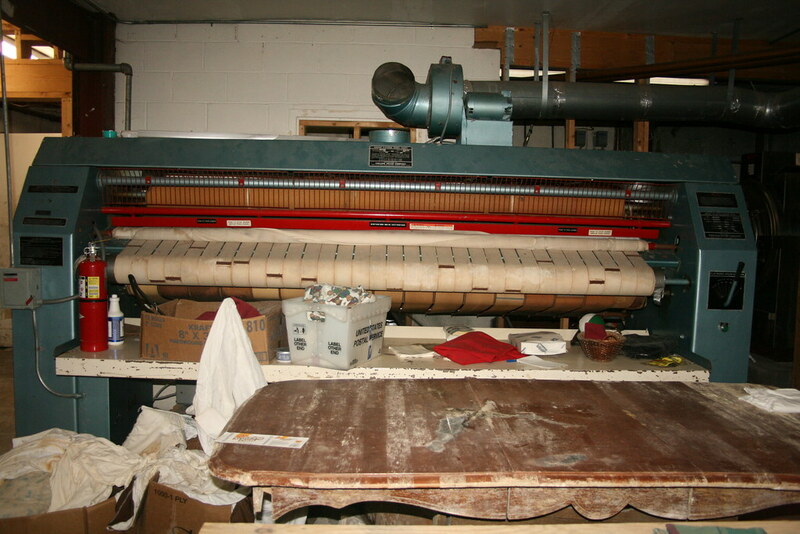 Miscellaneous debris sat on the table at the output of this flatwork ironer canopy. With a machine like this, a wet bed sheet can be dried, ironed and folded in just seconds. The fact that this machine is out of commission is supported by the presence of an excess of driers vs. washers. The hotel was using regular driers instead of this flatwork ironer to process bed sheets.